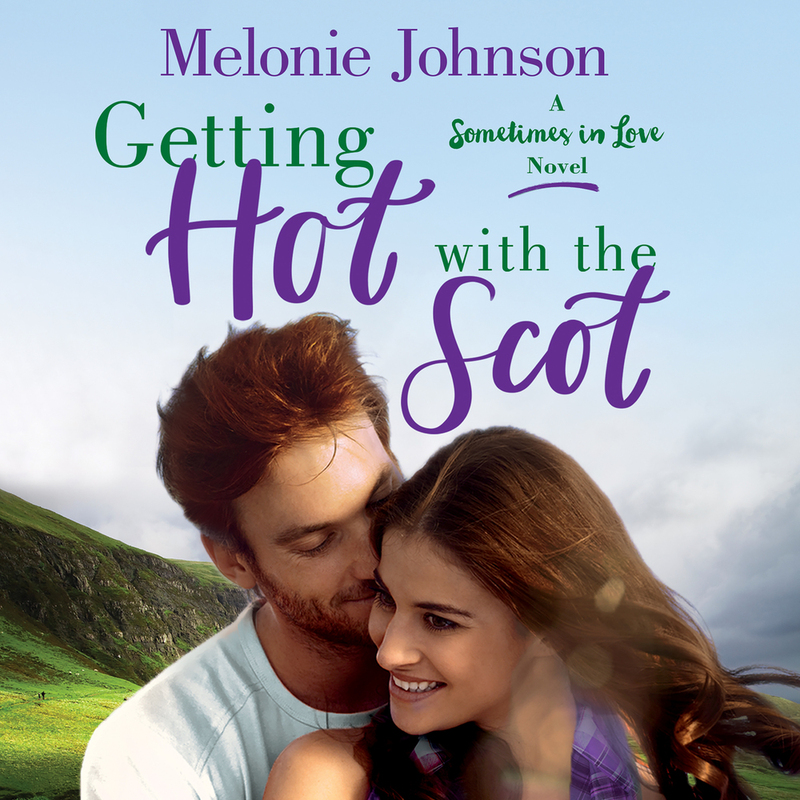 Enter for a chance to win an audiobook digital download of Getting Hot with the Scot by Melonie Johnson, read by Evelyn Eibhlin! Please read the official rules in the box below. ELIGIBILITY: The Getting Hot with the Scot Audiobook Sweepstakes (the "Sweepstakes") is open only to persons who as of the date of entry (and, if a winner, as of the date of prize fulfillment) are a legal resident of the 50 United States or the District of Columbia and who are 18 years of age or older and of the legal age of majority in the jurisdiction in which he or she resides. We are sorry for the geographic restrictions, unfortunately it is required for various legal reasons. Persons who as of the date of entry (and, if a winner, as of the date of prize fulfillment) are an employee of Macmillan Audio ("Sponsor") or any of Sponsor's Affiliates (as defined in Section 5), and members of the immediate family or household (whether or not related) of any such employee, are not eligible. Eligibility determinations will be made by Sponsor in its discretion and will be final and binding. U.S. law governs this Sweepstakes. Void where prohibited by law. HOW TO ENTER: The entry period for the Sweepstakes begins at 12:00 a.m. Eastern Time (ET) on Monday, April 01, 2019 and continues through 11:59 p.m. ET on Wednesday, May 01, 2019 (the "Entry Period"). No purchase is necessary. To enter the Sweepstakes, during the Entry Period, entrants must visit the website located at https://read.macmillan.com/promo/hotwiththescotaudiosweeps (the "Website") and follow the on-screen entry instructions. Sponsor may also in its discretion make the online entry form for the Sweepstakes available via other websites, including websites that are not operated by Sponsor. Each entrant will be required to fill out an online entry form (which will require the entrant to submit his or her e-mail address and such other information as Sponsor may require). There is a limit of one entry per person and per email address. All entries must be completed and received by Sponsor prior to the conclusion of the Entry Period. Entry times will be determined using Sponsor's computer, which will be the official clock for the Sweepstakes. Normal time rates, if any, charged by the entrant's Internet or mobile service provider will apply. All entries are subject to verification at any time. Proof of submission does not constitute proof of entry. Sponsor will have the right, in its discretion, to require proof of identity and/or eligibility in a form acceptable to Sponsor (including, without limitation, government-issued photo identification). Failure to provide such proof to the satisfaction of Sponsor in a timely manner may result in disqualification. WINNER SELECTION AND NOTIFICATION: Following the conclusion of the Entry Period, 10 potential Grand Prize winner(s) will be selected in a random drawing conducted by Sponsor or its agent from among all eligible entries received during the Entry Period. The odds of winning will depend on the number of eligible entries received. The potential winner will be notified by e-mail (sent to the e-mail address provided by the entrant when entering), or using other contact information provided by the potential winner, in Sponsor's discretion. If the initial notification requires a response, the potential winner must respond to Sponsor's initial notification attempt within 72 hours. The potential winner is subject to verification of eligibility and may, in Sponsor's discretion, be required to complete, sign and return to Sponsor an Affidavit of Eligibility/Release of Liability or an Affirmation of Eligibility/Release of Liability, as determined by Sponsor, and, if legally permissible, a Publicity Release and any other documentation provided by Sponsor in connection with verification of the potential winner's eligibility and confirmation of the releases and grant of rights set forth herein (as applicable, "Winner Verification Documents"), within seven days of attempted delivery of same. The potential winner may also in Sponsor's discretion be required to complete and return to Sponsor an IRS Form W-9 within seven days of attempted delivery of same. If the potential winner cannot be reached or does not respond within 72 hours of the initial notification attempt or fails to complete, sign, and return any required Winner Verification Documents or IRS Form W-9 within seven days of attempted delivery of same, or if the potential winner does not otherwise comply with these Official Rules and/or cannot accept the prize as awarded for any reason, then the potential winner may be disqualified and an alternate winner may, at Sponsor's discretion, be selected from among the remaining eligible entries as specified in these Official Rules (in which case the foregoing provisions will apply to such newly-selected entrant). PRIZE: 10 Grand Prize(s) will be offered. The Grand Prize consists of a(n) One (1) digital audiobook copy of Getting Hot with the Scot by Melonie Johnson.. The approximate retail value ("ARV") of the Grand Prize is $26.99 USD. The aggregate ARV of all prizes is $269.90 USD. The exact value will depend on where the winner resides and market conditions at the time of prize fulfillment. All prize details that are not expressly specified in these Official Rules will be determined by Sponsor in its discretion. The prize will be awarded if properly claimed. No substitution, cash redemption or transfer of the right to receive the prize is permitted, except in the discretion of Sponsor, which has the right to substitute the prize or any component of the prize with a prize or prize component of equal or greater value selected by Sponsor in its discretion. The prize consists only of the item(s) expressly specified in these Official Rules. All expenses or costs associated with the acceptance or use of the prize or any component of the prize are the responsibility of the winner. If a prize component consists of digital content, entrant may need a compatible reading application to read the content. The prize is awarded "as is" and without any warranty, except as required by law. In no event will more than the number of prizes stated in these Official Rules be awarded. All federal, state and local taxes on the value of the prize are the responsibility of the winner. An IRS form 1099 will be issued if required by law. WINNER NAME AND RULES REQUESTS: For the name(s) of the winner(s), which will be available two weeks after the conclusion of the Entry Period, or a copy of these Official Rules, send a self-addressed, stamped envelope to Getting Hot with the Scot Audiobook Sweepstakes , Macmillan Audio, 175 5th Avenue, Macmillan Audio, New York, NY 10010. Winner name requests must be received by Sponsor within six months after the conclusion of the Entry Period. SPONSOR: Macmillan Audio, 175 5th Avenue, Macmillan Audio, New York, NY 10010.